Hey friends!! 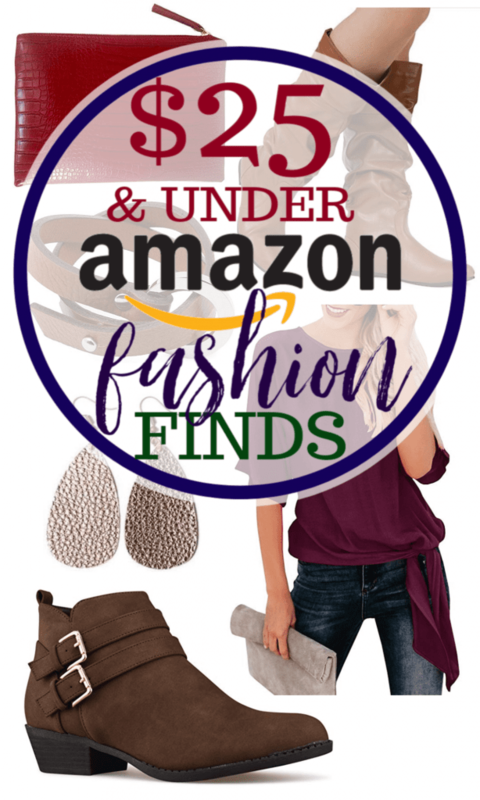 I’m so excited to share these Amazing Amazon Fashion Finds with you! I know we are in the thick of the holiday season, and if you are like me, you are going to avoid the mall like the plague and buy 95% of all your gifts online. If I’m honest, that’s not just the holiday season, ti’s all year long. I am an Amazon Prime addict and I love the awesome things I have found on there. There are definite misses, but I only buy things that offer free returns. Everything listed here, I not only kept but I have LOVED. Not only that, but all of what you see here is super affordable. Everything but one item is under $25. I am super impressed with the quality of everything and like everything on my blog, I wouldn’t recommend it to you if I didn’t totally love it. Also? If you have anything you think I should buy that should be on the list, tell me! This a dress that a young PR rep (who is far more cool than me) wore on a press trip I was on recently. It was so so so cute on her that I asked her where she got it. Amazon! I now am the proud owner of two (navy blue and cranberry). 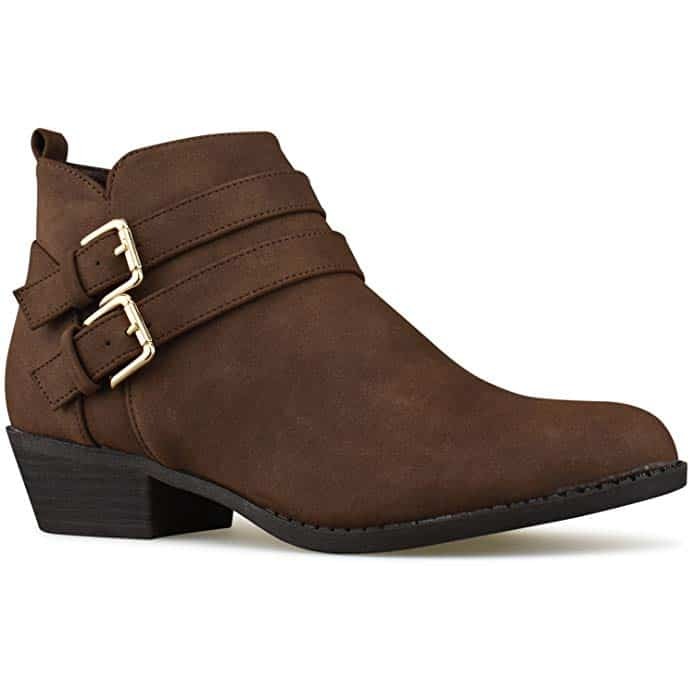 They are so comfortable and look awesome with a thin belt, scarf, and boots. 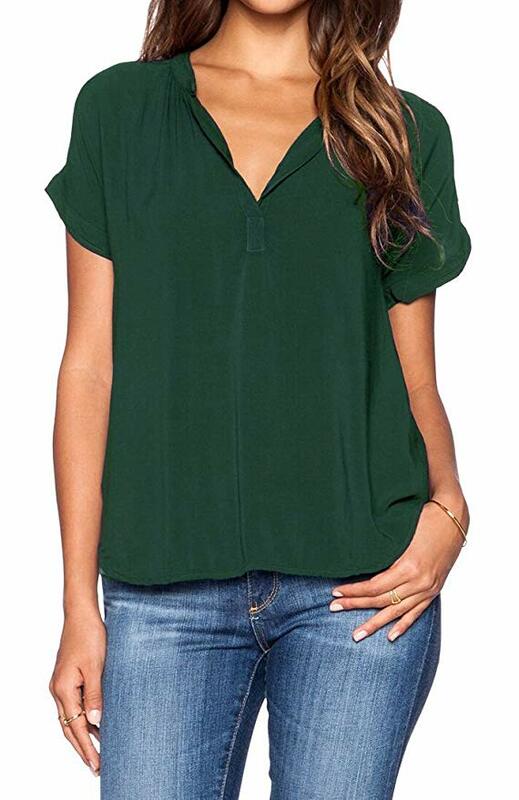 Perfect for work or a casual holiday party! I even wore it for our family photo shoot, so you can see it on me soon! And you cannot beat the price! As a woman who has had a million children, I need a nice forgiving top, and this is totally it. This is my new favorite shirt, and I wear it more often than is probably appropriate. Like people might think I have no other clothes. I’m resisting the urge to buy it in 14 other colors. Super comfortable, super cute, and super affordable. You know, when you order tops on Amazon, they can totally be hit or miss. This one is a hit! I love this top so much and have worn it out several times since I bought it two months ago. I even wore it in my video for my Homemade Taco Seasoning. It is flattering, and I love that it feels dressy without being over the top fancy. And, like all the rest of the things in this post, you can’t beat the price. I absolutely did not need another purse like this, but . . . . I really wanted it. And for under $20 can you beat that price? So. 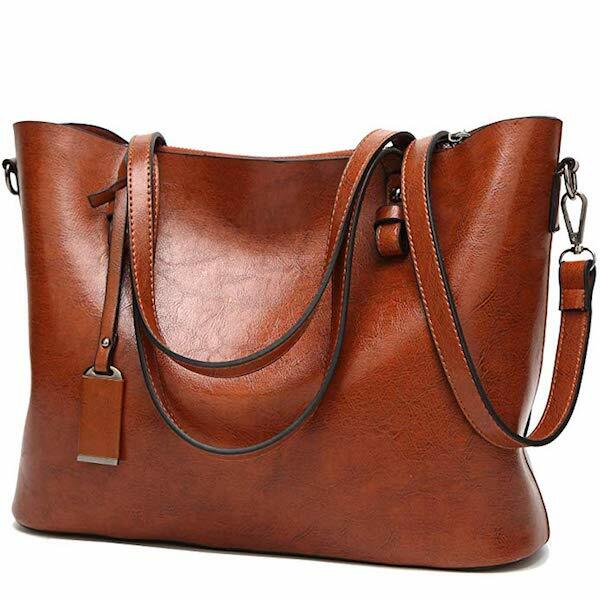 Even though I didn’t need this purse, it totally has become my every day mom purse. It’s big enough to hold everything I need in a day, but not so big I feel like I actually packed for a small vacation. I’m also totally impressed with the quality for the price. I stand by my choices. Like I mentioned above, I totally did not need another purse. However . 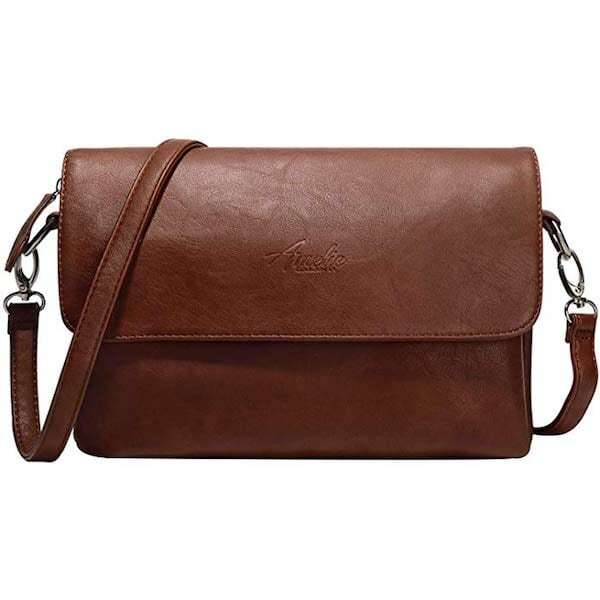 . . with all the traveling I did this year in big cities, I really wanted something on the smaller side that was cross-body. This one is it! It isn’t very big but perfectly holds my wallet and cell phone, and even keys if I was a person who remembered to carry keys with her. I love this one for on the go! I am absolutely in love with these! They are beyond comfortable and look super cute with jeans. I love that they are casual enough to wear day to day, but cute enough to wear on a date night. They are one of the pricier items on this list, but they are STILL less than $25! I bought this dress over the summer to wear on trips, but it totally works into fall as well! Generally I’m really self conscious about my mid section and too nervous to wear dresses that tie in the front like this, but I love love love this dress. Also, why are dresses with pockets so exciting? Let’s not talk about how many purses I own, okay? 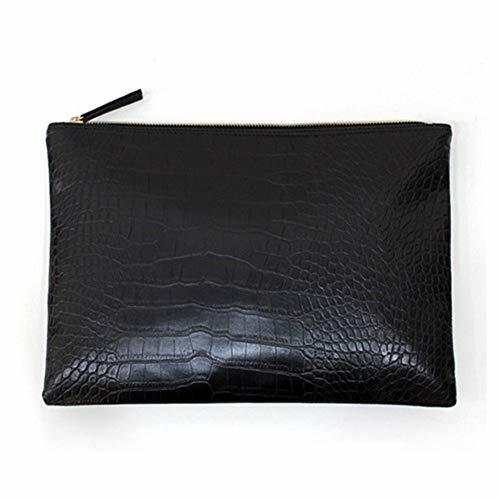 I love this clutch so much! It is so sleek and perfect for a night out. It is dressy enough to wear to something formal, but also works perfect with a cute top and jeans. 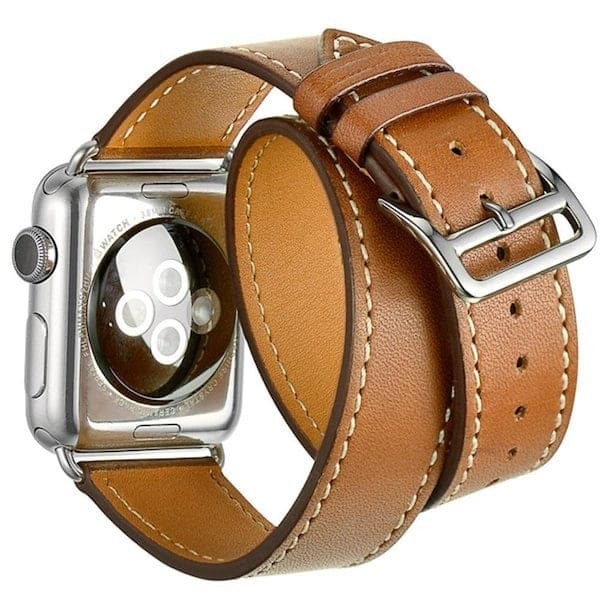 My husband wanted to get me an Apple Watch for my birthday this year and one of my concerns was the wrist band. I didn’t want an athletic band on all the time (has there every been a more clear example of #privligiedproblems?). Anyway. I found this band, and I LOVE it. It’s super easy to change in and out with the one the watch came with to work out in. And if you click the link above, you can see other awesome bands that you can get too! My amazing friend Rebecca was wearing these earlier this year at a conference, and I immediately fell in love with them. They are light weight because they are made out of fake leather, and they are super cute. Plus they are affordable and come in so many different colors. 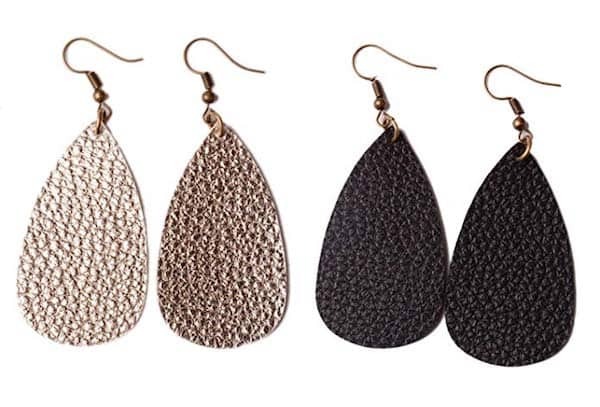 They are totally my new favorite earrings, I wear them all the time! I can’t believe I waited until this late in adulthood to enjoy accessorizing. It’s fun guys. 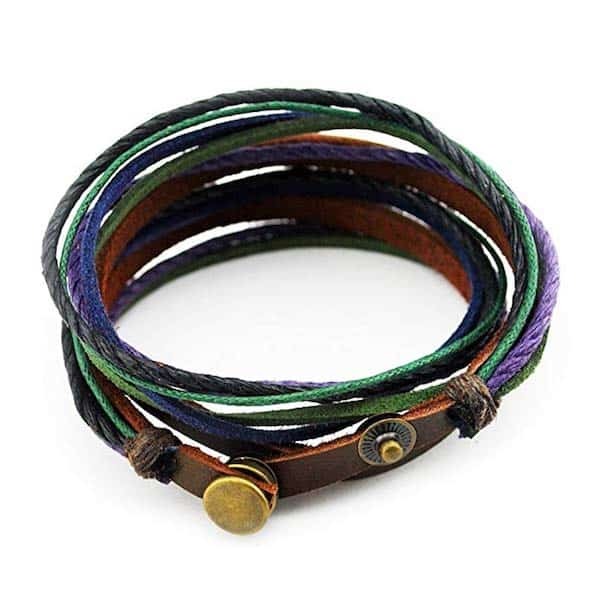 So I love this bracelet because it’s one of those that you kind of forget that you are wearing, but it looks super cute. 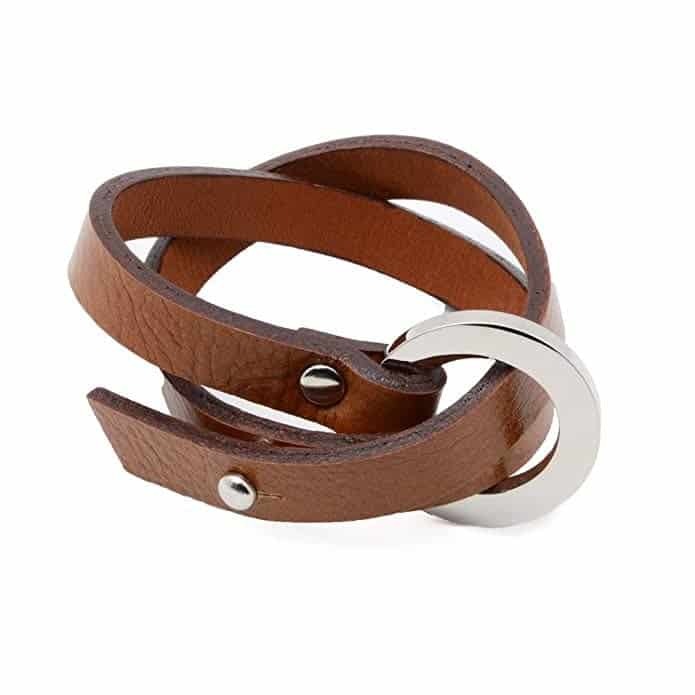 It would be good on it’s own or paired with other bracelets as well. And it’s inexpensive! It would make a cute stocking stuffer! 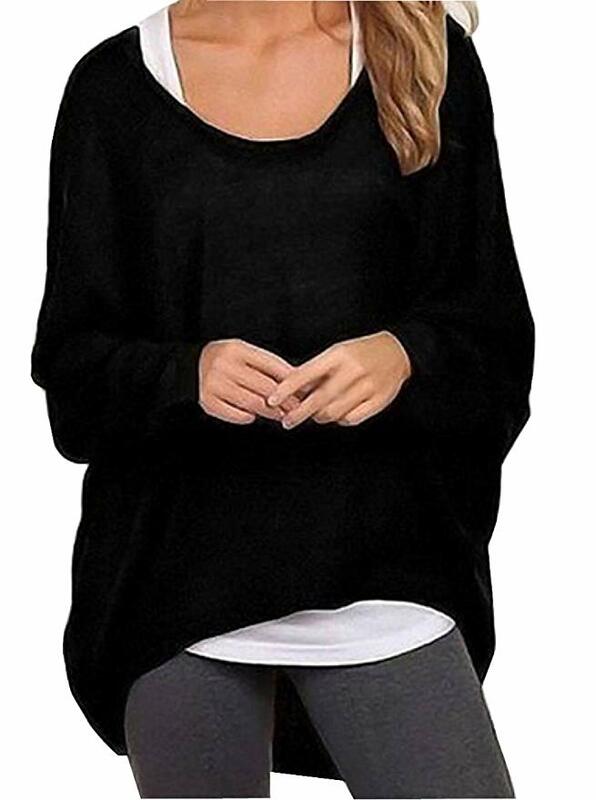 This casual loose sweater is so comfortable and comes in so many different colors! 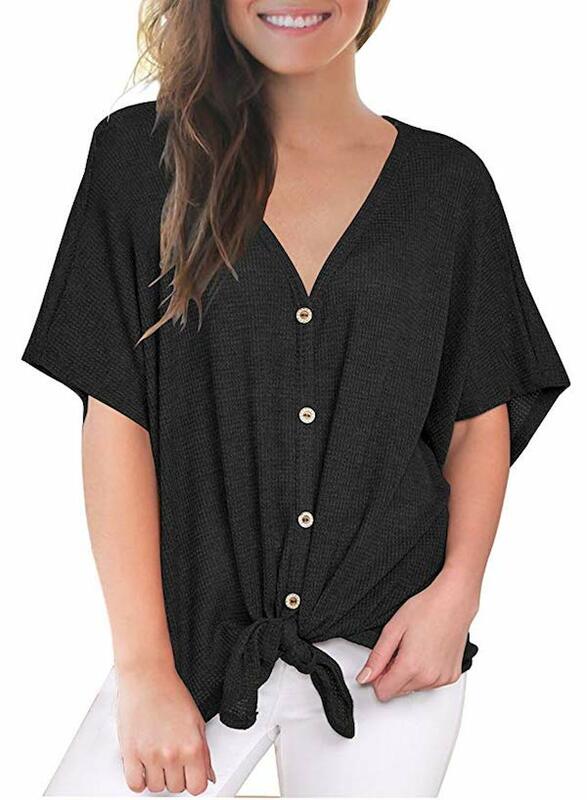 It looks great with jeans or with leggings. I love this sweater! And again, I’m trying really hard not to buy it in ever color. I’m totally in love with this bracelet. If you’ve seen me in the last year, you’ve definitely seen me wear it because I wear it all the time. It’s cute and comfy and doesn’t irritate me like some of the other bigger bangle bracelets I have. I LOVE these boots. I have had them for the last two years, and they still hold up! 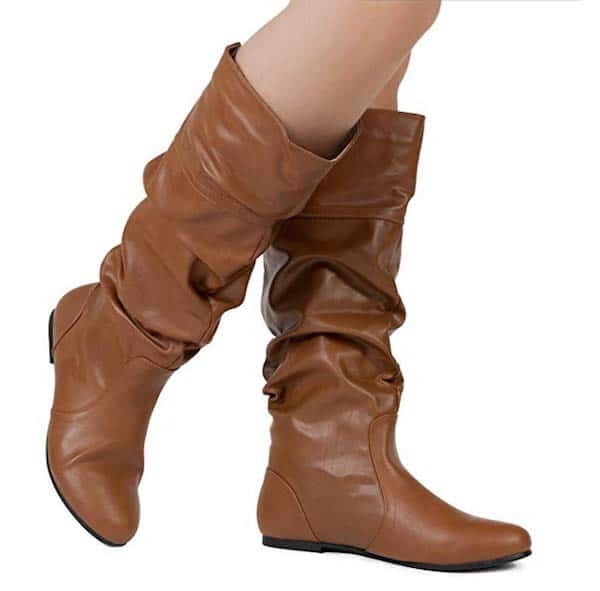 They are comfortable and warm enough to wear in the winter with tights and be comfortable. Plus! They have a secret little pocket in them that you can put your ID and credit card in. How fun is that?? Just picture me on a plane at the end of a work trip and when the flight attendant comes by I whip my credit card out of my boots and say, “A red wine please!” ???? I’m nothing if not a class act, guys. 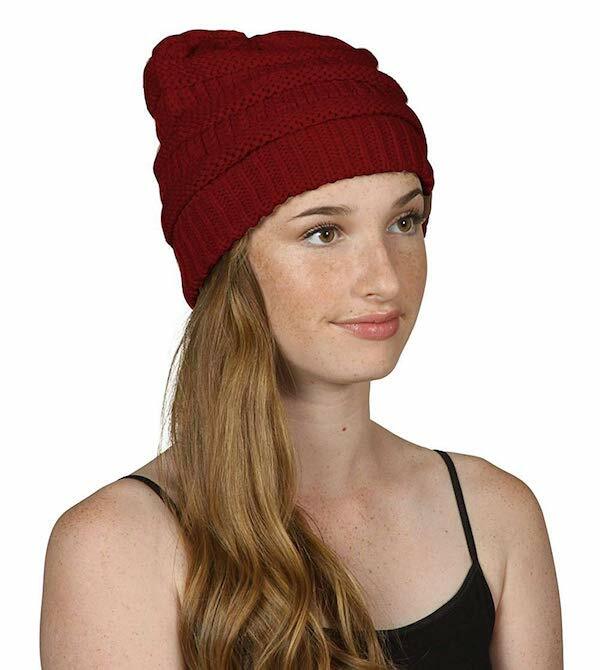 This is the one item that is over $25, but they are still under $35 and worth every penny. This dress is just a long sleeved version of the other pencil from above. It’s casual, cute, and perfect for fall and winter. 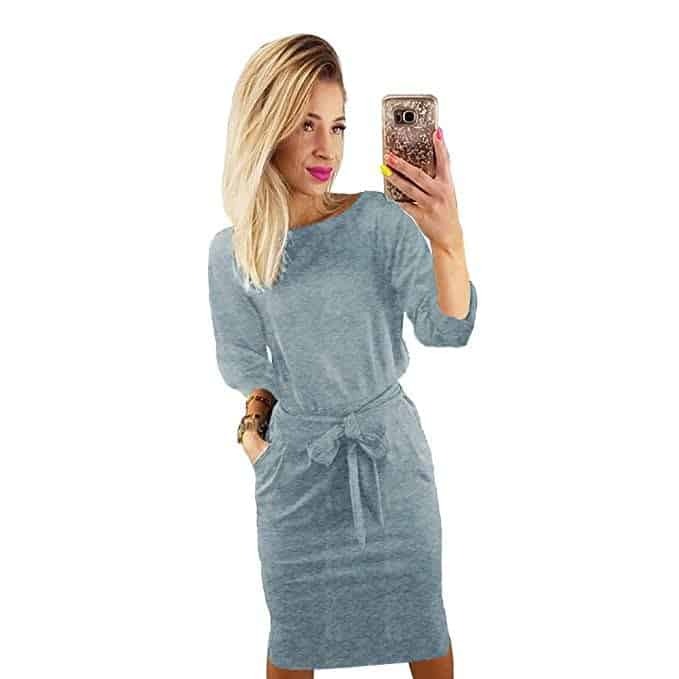 It is dressy enough to wear with some great jewelry and heels to a Christmas party, but casual enough that you could wear it work too.